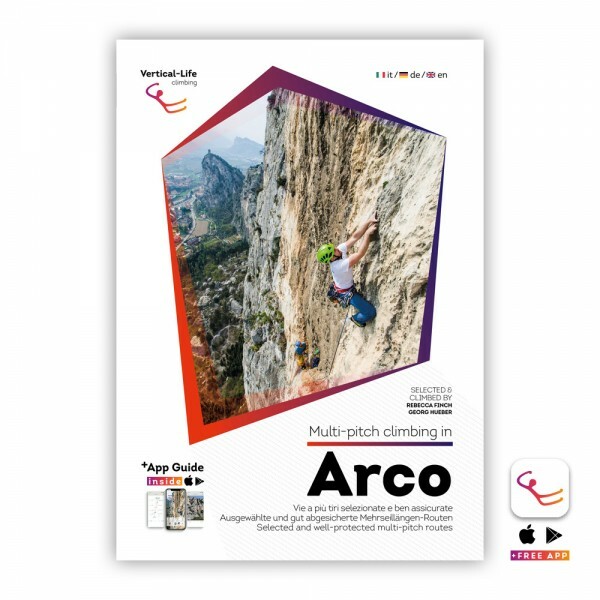 Product information "Arco: Multi-Pitch Climbing Guidebook"
The first edition of the Vertical-Life guide „Multi-pitch climbing in Arco“ has been released. It offers a clear selection of 78 plaisir-routes between the grades 4a and 7c on top quality Lake Garda limestone. All the routes were selected and climbed by the authors Rebecca Finch and Georg Hueber. The guidebook contains detailed topos, drawn by the authors themselves. Related links to "Arco: Multi-Pitch Climbing Guidebook"
Customer evaluation for "Arco: Multi-Pitch Climbing Guidebook"